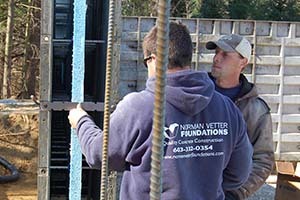 We help you build energy efficient. 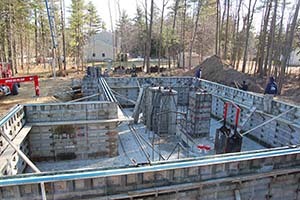 Concrete sandwich foundation construction helps you create buildings with energy savings in mind. 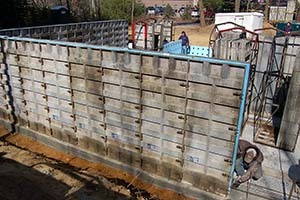 Poured-in-place insulated concrete sandwich walls maximize energy-efficiency, durability and performance. 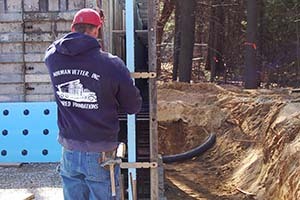 Traditionally, location and treatment of the insulation of a foundation is a challenge, especially when in contact with soil on the outside. 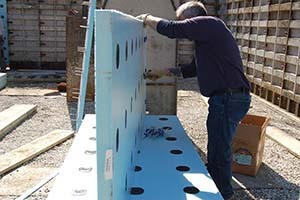 We incorporate a layer of insulation into a cast concrete wall with connectors tying together the layers of concrete and positioning the insulation. 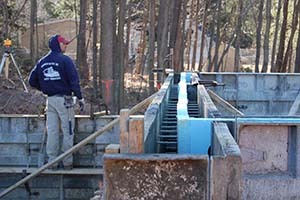 This system offers flexibility in the thicknesses of the concrete wall and the concrete can finished in a variety of methods. 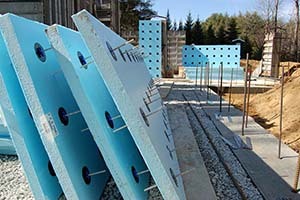 Properly constructed homes built with insulated concrete also offer highest performance for elements of nature. These homes can be expected to stand for many decades with no structural degradation. Call (603) 332-0354 and start building ennergy saving from the ground up.